Italy's losing sequence in the Guinness Six Nations extended to a record 22 matches but France were pushed all the way before prevailing 25-14 at the Stadio Olimpico. The form of the Azzurri in the last few years - they have not won in the Championship since 2015 - has led to calls for a relegation system to be implemented in the competition. Yet arguably only a try-saving tackle from Damian Penaud, who knocked the ball out of the hands of debutant Marco Zanon as he went for the line five minutes from time, secured victory for Les Bleus. 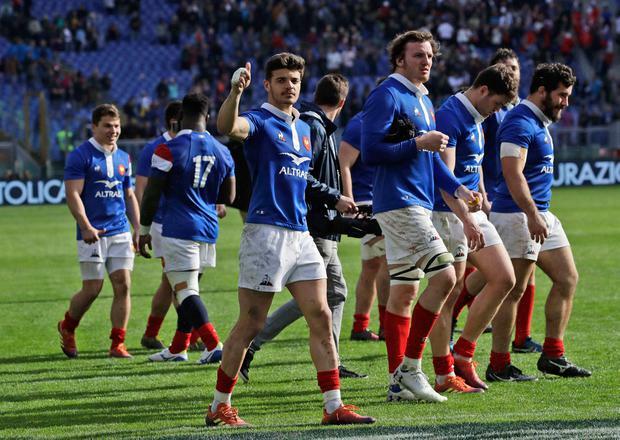 Yohan Huget's 47th-minute try gave France some breathing room but Italy responded through Tito Tebaldi before the hour - although some wayward kicking from Allan proved costly.